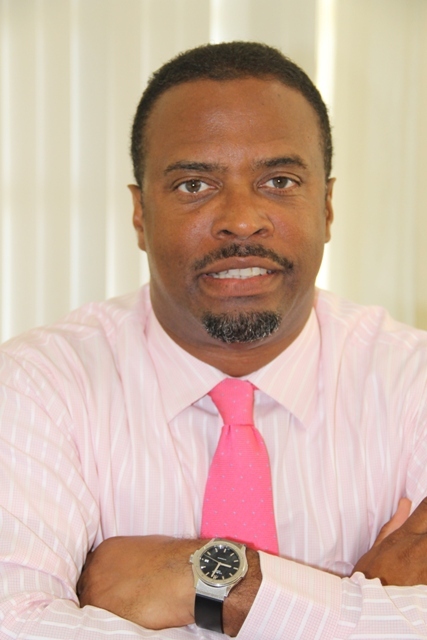 NIA CHARLESTOWN NEVIS (September 03, 2014) —Deputy Premier of Nevis Hon. Mark Brantley says the Nevis Island Administration’s (NIA) was using a non-traditional approach to attract investment from Asia, and would continue to do so elsewhere in its efforts to attract foreign investment to the island. Mr. Brantley made the statement when he spoke to the Department of Information on September 03, 2014, at his Bath Plain Office on his return from a two-week assignment to meet with potential Asian investors. “For me, this trip was very, very useful. I think that it is the first in what I hope to be an ongoing engagement with Asia and with Hong Kong and China more specifically because cities such as Honk Kong and Shanghai are clearly now major capitals, major financial centers in Asia and that is where the money is. “That is where the investment dollars are and I feel that a non-traditional approach by us here in Nevis, in terms of going out and attracting investments, looking to places such as these where they have vast sums of money and a willingness to invest. I think that has to be now the approach…My hope would be, that the people of Nevis will shortly see that there have been some real benefits flowing from this trip and from additional engagements we hope to make,” he said. Mr. Brantley said the trip, which was not paid for by the NIA, was part of fulfilling its mandate to make life better for the people of Nevis. “My own sense is that we ought to look east for development, for investment. My trip confirmed in my own mind, that we have a tremendous amount of potential there for foreign direct investment. “I believe that it is part and parcel of our fulfillment in this Administration of our mandate to go out and attract investment, so as to make the lives of our people better and to bring business to our shores,” he said. The Deputy Premier also spoke to some of the manifestations of his travels to Asia and the meetings he had held with hundreds of potential investors. “In so far as that trip is concerned, we have as a consequence had a commitment from some investors to do a development project in St. James. That has been in the works for some time and I think that very soon, we should be able to report on that. “We also have had commitments from two groups, one which should be here in another 10 days or so, based on what they advised me and the second group which is also interested in coming in, that date has not yet been fixed but [they] would want to come in again to look at real estate development,” he said. Mr. Brantley described the potential investors as open minded and said they had shown willingness to conduct business in a range of areas. “They are very open whether it’s geothermal, in the energy sector, whether it is financial services. Of course, this Administration has recently appointed a Chinese group to represent us in Hong Kong, Singapore, Mainland China, Taiwan and the Philippines in terms of financial services and promoting the financial service products in Nevis,” he said.